Over the last few years the use of satellite phones has been on the increase, they are now cheaper and more available than ever, however, this has not made it any easier for the consumer. With the choice of products on offer, how do you know which is the right one for you? It seems like it is getting harder and harder to pass the day without being subjected to the unrelenting cacophony of mobile communication. Whether it be the ‘A-Team theme tune’ on the train, Vivaldi’s ‘Four Seasons’ in the cinema or just the ‘beep beep’ of a received text message in the classroom. Cellular phones have developed into an intrinsic, and let’s face it, sometimes inane part of modern life. They now have their own slang, snobbery and criminal subculture. In fact, the only place where you can escape the constant hum of mobile life is far from cellular network coverage, in the ‘remote and wild corners’ of the world. And here is the paradox; due to their remoteness, these are the very places where cellular phones would have merit, earn their crust, realise their raison d’etre. As developments in business, travel and technology have led to the increased human exploration of such ‘remote and wild corners’, the demand for a system of communication, beyond that of cellular phones, has arisen. It is for this reason that satellite technology has been developed. 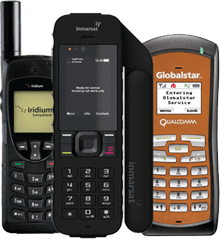 Three satellite systems that have gained wide spread popularity are Inmarsat, Iridium and Globalstar. Although they are all attempting to meet the same demand, they each go about this in different ways. What follows is a basic overview of some of their strengths and weaknesses. The first mobile satellite system to be conceived, is a great example of how the technology has emerged from a niche market and been made available to all. Originally designed for the maritime industry, they now have over 100,000 registered satellite phone terminals. Probably the most famous, or rather notorious, of the satellite systems on the market. They very publicly went bankrupt in 1999; one year after the service was launched. However, Motorola Inc. stepped in and settled their debts. They envisioned their customers as people who were working on the fringes of cellular networks, crossing in and out of coverage areas. Therefore they designed a handset that would work on both the cellular AMPS and CDMA networks and, the Globalstar network. This information is not intended as a definitive guide to satellite phones. Rather, it is meant as a brief introduction to some of what is available. As you can see from the three examples highlighted, there is not one all encompassing system that can out perform its rivals in all areas. Each has certain strengths and certain weaknesses. 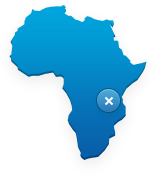 If you decide that you need to use a satellite phone, you need to decide which satellite network is best for you. You must assess what functions are most valuable to you. Do you need total global coverage? Do you need the ability to send and receive data? Do you want something that is easy to carry? Once you are clear in your head what you expect from satellite communication then you are able to make your decision from a more informed and confident position. 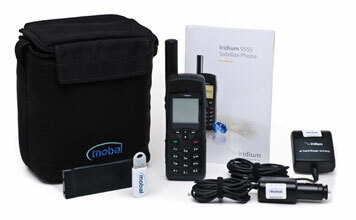 Please contact us for further information and advice on our satellite phone solutions. « Car Battery Powers Mobal World Phone In Sahara Desert!